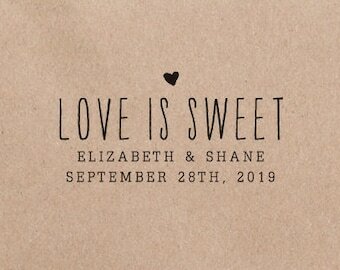 Announcement Welcome to Letter2Love! 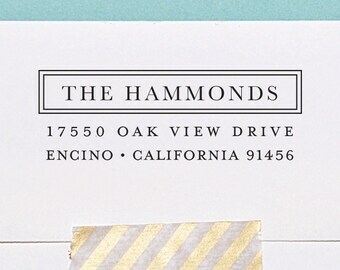 Leave a beautiful lasting impression on your stationery and paper goods with our Custom Return Address Stamps, Wedding Stamps, Personalized Name Stamps, Teacher Stamps, and Wedding Stamp Designs - lovingly designed in our studio in California. 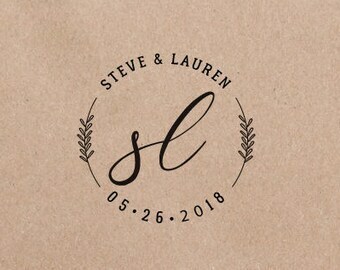 Most of our stamp designs can be modified to a full name, couple's names, or family surname. A sample of each available style will be shown on each of the shop listings. 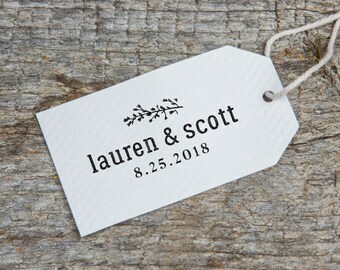 A FREE digital proof of your design will be sent to you via Etsy convo within 48 hours of the processed order. Orders are shipped via USPS first class mail within 6-8 business days (not including weekends) upon approval. The best way to reach us is via Etsy Convo. Inquires are answered within 24 hours. We are constantly adding new designs so please check back often! Welcome to Letter2Love! 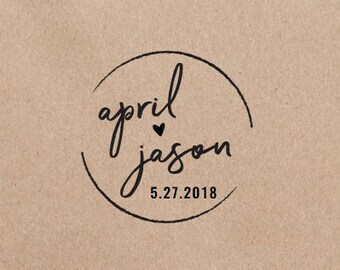 Leave a beautiful lasting impression on your stationery and paper goods with our Custom Return Address Stamps, Wedding Stamps, Personalized Name Stamps, Teacher Stamps, and Wedding Stamp Designs - lovingly designed in our studio in California. 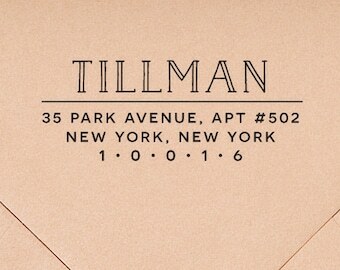 Great gifts for weddings, housewarming, birthdays, Christmas, or a lovely personalized stamp for yourself! Hello from Angie and Samantha! Two graphic designers, who love to design and bring a smile to the masses. Who knew that two teenaged girls would meet in high school and one day collaborate to open a shop called Letter2Love? Both originally from the windy city of Chicago, we now reside in sunny Los Angeles with our husbands and each of our two kids. 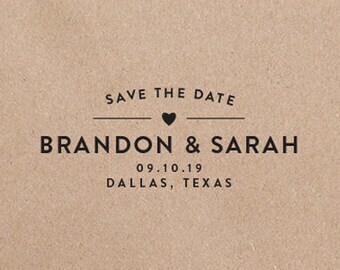 Samantha is the seasoned stationery designer of Papermints, who has worked with hundreds of wedded couples across the globe over the last 12 years, designing wedding invitations and stationery details to celebrate their big day. In 2011, she launched her Papermints Etsy shop, successfully expanding her collection to include beautiful wall art decor for weddings, baby, family, and home. Angie co-created, Mia Bossi, a high-end versatile diaper bag business in 2005 where they've been carried on the arms of celebrity mommies, in Bloomingdale's and Barney's department stores and baby boutiques nationwide. Upon moving to Los Angeles, Angie has worked in the fashion industry as a successful graphic designer, but has always had a love of working in stationery and paper goods. Playing off their individual style and flair, you'll find a wide range of designs at Letter2Love - from classic, modern, retro, vintage to whimsical. Thank you for stopping by and we hope you will find something in our shop that will bring a smile to your face because all our stamp designs are made with love... We look forward to creating a beautiful lasting impression to your letters, stationery, and all your paper goods. Visit our sister Etsy shop for Personalized Wall Art Decor and Custom Canvas Designs! The laser engraving company we have partnered with has over 30 years of experience in the rubber stamp industry, producing the highest quality laser stamps. Each stamp order is carefully assembled and tested by skilled craftspeople here in the U.S. Welcome to Letter2Love! Thank you for visiting our shop! 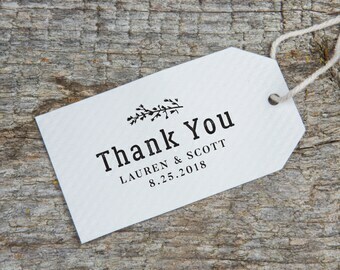 Leave a beautiful lasting impression on your stationery and paper goods with our Self-Inking Return Address Stamps, Personalized Name Stamps, and Wedding Stamp Designs - lovingly designed in our studio in California. The best way to reach us is via Etsy Convo. Inquires are usually answered within 24 hours. Please take a look around our shop and let us know if you have any questions! Due to the customized nature of our stamp designs, all sales are final. Please make sure to double check your proof for any typos prior to approval. If your item arrives damaged during during, please send us a photo along with a description of the damage within 3 days of receipt and we will gladly replace it for you. Buyer to pick up the return postage. If you have any concerns with your purchase, please let us know right away so we can remedy the situation. We strive for happy customers and we appreciate your feedback! We accept PayPal, Credit Card (direct checkout), and Etsy Gift Cards. All shipments to California destinations will automatically be charged a 9% sales tax. We ship world wide! For your convenience, a shipping notification as well as a tracking number will be provided upon shipment for all orders. Please note that any custom fees or VAT taxes for international orders will be the sole responsibility of the buyer. You can get an estimate of your import duty & taxes via the website, http://www.dutycalculator.com. IMPORTANT INFO: Orders will ship to your address from your Etsy account. Please make sure to update your account with your current shipping address. 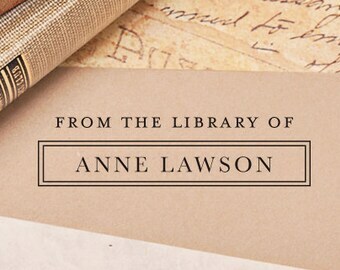 If you'd like your order shipped to a different address, please notify us with a new address in the "Note to Letter2Love" box upon check out. A FREE digital proof will be sent within 48 hours after receipt of payment. 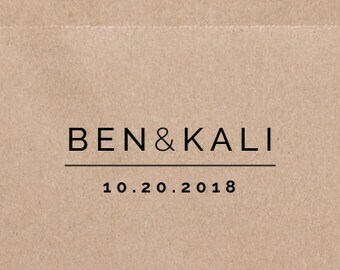 Please keep an eye out for your proof via the Etsy convo. The first two rounds of proofs are complimentary. Additional revisions are $5. • Upon approval, your stamp will ship within 6-8 business days from California via USPS First Class Mail (2-5 days). International orders will ship via USPS First Class Mail. Please allow 7-21 working days for delivery to International destinations. • In a Rush? Shipping can be upgraded to USPS Priority Mail (2-3 business days) upon checkout! Your stamp will arrive packaged in our lovely signature cotton muslin bag for gift giving or safe storage. If you'd like to send your gift directly to the recipient, simply update the shipping address upon checking out. A complimentary gift message can be sent along with your gift order.